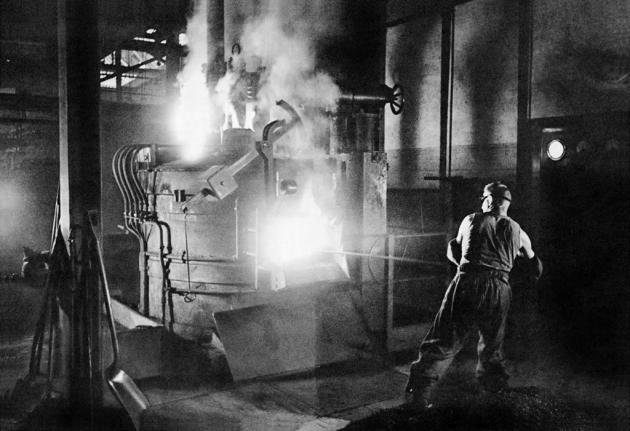 "Fabrik – Ein Bildepos der Technik von Jakob Tuggener, (Factory – a Pictorial Epoch of Technology by Jakob Tuggener, 1943). An unusual sequence contrasts lathes, melting furnaces, turbines and generators with single portraits of workers; the sharp contours of a carved wooden mask or the natural resources of industrial energy such as sluices and waterfalls. These images may be reminiscent of Rodchenko, but they never seem apologetic or nostalgic about technological progress. The book is rich in formal references, while numerous little stories form pictorial narratives. 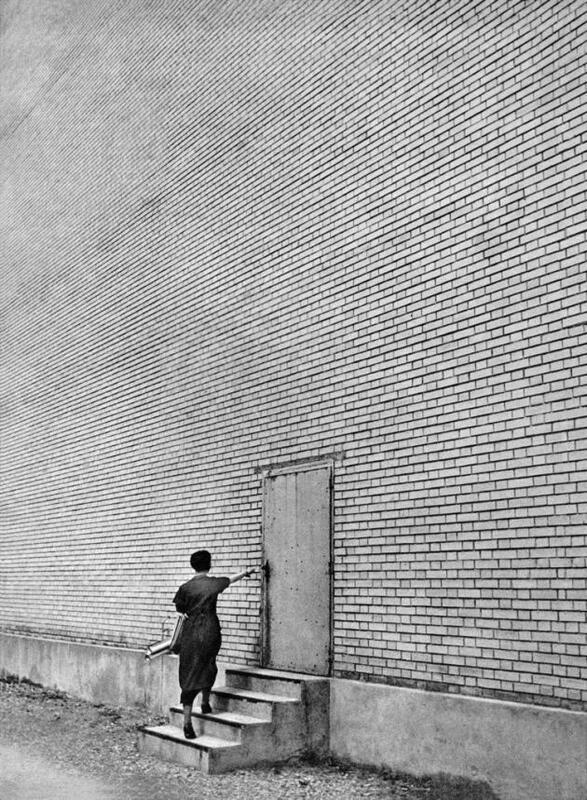 These include, for example, an almost cinematic sequence of a young woman called Berti, who, with blueprints under her arm, rushes along beside a high brick façade before vanishing through a metal door. The camera constantly shifts between Berti's face and the scenes that surround her. Unlike many of his more politically motivated colleagues such as Paul Senn, who concentrated on the world of workers and farmers, Tuggener took many photographs of the wealthy. During the 40s, with almost post–Modern enjoyment, he joined the rich and beautiful at their balls held in the Hotel Palace in St Moritz, a place where war–profiteers met in the unreal quiet of the Swiss mountains. Tuggener created a series of trance–like photographs, which look like film stills, depicting sparkling crystal glasses, heavy silver cutlery and chandeliers; bare shoulders and low–cut back décolletages juxtaposed with a plate of German sausages shining with grease; the exchange of flirtatious glances and brief hand contacts. He also took superb images of fetishistic details, such as an ornamented room key, ambiguously held by slender fingers in a black velvet glove. It is these minimal details which hint at the complex stories which lie at the heart of Tuggener's oeuvre." 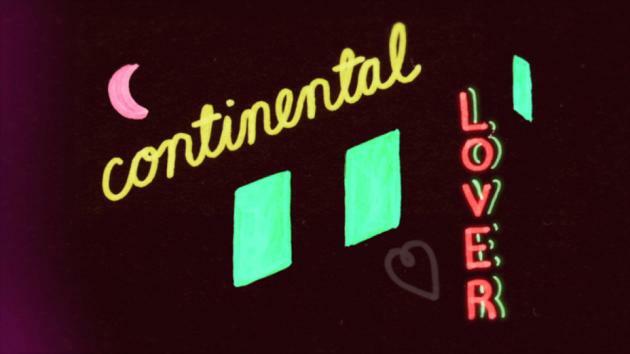 Naïve illustration style used for Ost & Kjex's "Continental Lover"
Musicians: Ost & Kjex (2010), Client: Diynamic Music, Illustrator: Sac Magique, Production Company: Anima Boutique, Director: Heli Ellis. 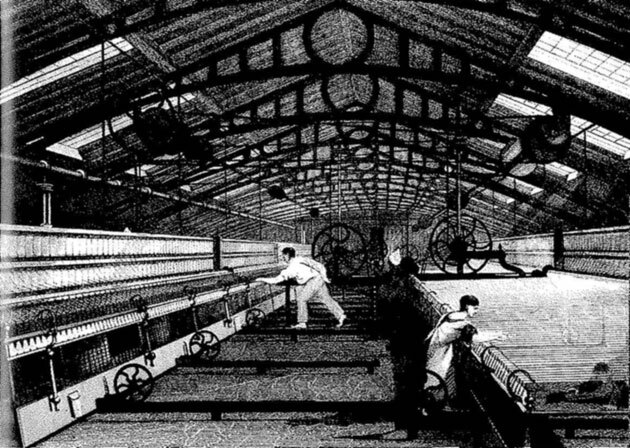 "The Industrial Revolution had established the United Kingdom as a world leader in manufacturing technology which had allowed British products to gain sizeable markets both at home and abroad. The early nineteenth century was to see those markets starting to be threatened by the establishment of free trade agreements between the UK and mainland Europe which allowed tariff concessions on the exchange of goods. European products began to compete alongside British products with increasing success which was attributed to their superiority in 'design' a feature it was felt that British products lacked. The Committee investigated the situation taking evidence over a two year period 1835–6 with witnesses representing Art, Design, Industry and Education from both the UK and abroad. In 1836 it was to conclude that the successful continental countries were funding Design Education for their manufacturing industries while the UK was not. The Committee were to recommend that Parliament vote £10,000 to establish a Government School of Design in London with further annual funding to establish a network of provincial Schools in the major industrial centres of the country. It was hoped that as the Schools of Design as they became established would encourage the Applied Arts and Design and improve the aesthetic quality of British products thus influencing trade." Fig.1 Roberts' Self–Acting Mule: sixty years later, the machine achieves the triumph of the factory system. "The visual crossover between industrialization and science in Fritz Kahn's artwork demonstrates surprisingly accurately how human nature became culturally encoded by placing the knowledge in an industrial modernity of machine analogues. He produced lots of illustrations that drew a direct functional analogy between human physiology and the operation of contemporary technologies. 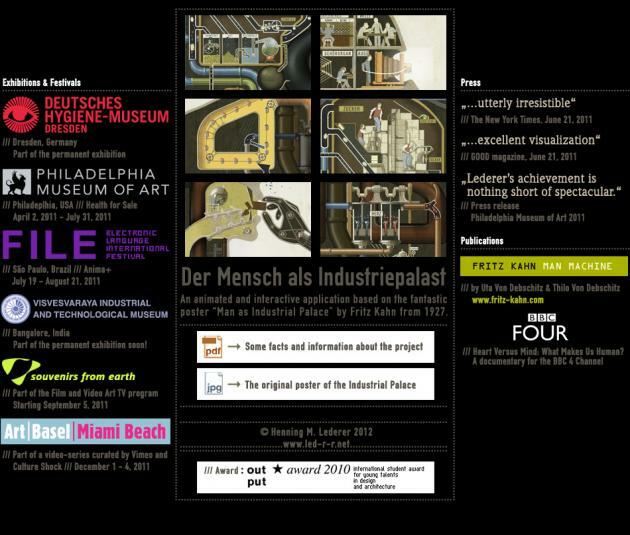 Therefore, by illustrating the body as a factory, Kahn was able to relate the body's complex organic interior to the industrialized space so common in society during that period of time (the poster was created in 1926). From the moment on that Henning Lederer got to know Kahn's poster 'Man as Industrial Palace' in 2006, he had the idea to animate this complex and strange way of explaining the functions of a body. He wanted to continue Fritz Kahn's act of replacing a biological with a technological structure by transferring this depiction with the help of motion graphics and animation."